Raleigh, N.C., passionate mind and artist and illustrator Linda Dallas draws inspiration from the kitchen, using color, texture and perspective to transform food into fine art. A fixture in the local art scene, Linda invites visitors to explore the 8th Annual Front Porch Art Walk, May 14, and shares her event guide below. On May 14, my neighbors and I will sweep off our front steps and welcome visitors to the 8th Annual Front Porch Art Walk. It’s a wonderful day in the neighborhood as artists display their creations on front porches throughout the Historic Mordecai and Historic Oakwood districts. 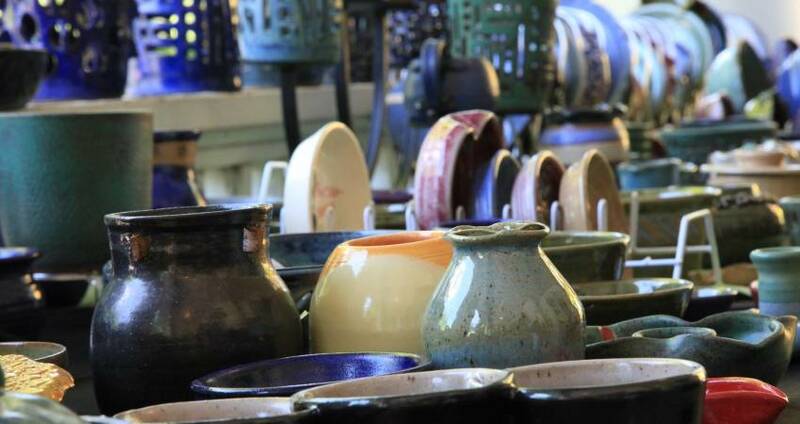 The Art Walk will highlight artwork by more than 50 artists including ceramics, photography, glass, jewelry, paintings, fiber arts, handmade bath and body products, sculptures, metal art, original paintings, art prints, live painting auction events and more. In addition, musicians Tony Weatherman and Rose Higgins will be performing at various Art Walk venues throughout the day. I love this day when the community takes to its front porch to greet old friends and meet new ones. This unique neighborhood art sale invites visitors and neighbors to mingle along tree-lined streets while perusing original artworks from up and coming to well-known established artists. If you enjoy picturesque architecture, friendly people and original artwork, this is the event for you. This year, William Peace University is participating in the Art Walk by hosting an art exhibition featuring Iraqi artists recently relocated to the U.S. and Canada. The Iraqi Refugee Art Exhibit is on display in the Flowe Academic Building, located along N. Blount St. at Peace St. from Fri., May 13, through Sun., May 15. This special exhibition has been organized by local artists and Common Humanity, a N.Y.-based non-profit which seeks to build understanding, respect and friendship with the Arab and Muslim worlds. Each venue will have a map to allow Front Porch Art Walkers to plan an itinerary to peruse the art-filled porches and explore the wonderful restaurants, coffee shops and other venues in the area. Visitors are welcome to stop by my art studio located at 606 N. Blount St. I’ll be on the studio porch painting watercolors, sipping lemonade and chatting about art. I hope to see you there. Front porches and art venues on and within the N. Person St., N. Blount St., E. Franklin St. and Peace St. areas in downtown Raleigh. There are no street closures associated with this event. Parking is free in business lots and along streets.